Multi-Cyclones Scrubbers use centrifugal force to effectively remove solid particles and liquids from a gas. There are no moving parts. The high efficiency, low pressure drop, centrifugal separation is attained by using Namdaran Petrogas Industries (NPI) proprietary designed Cyclone Tubes. 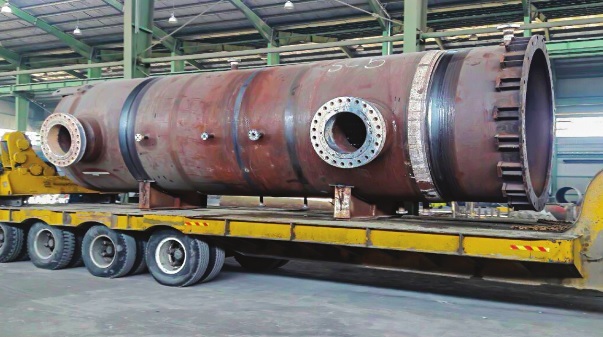 The entrainment laden gas stream enters the distribution chamber of the scrubber, which contains multiplicity of small cyclone tube arranged in parallel. The gas enters each of the tubes through two tangential opening located near the top. The resulting centrifugal action moves the liquid droplets and/or solid particles to the outer periphery of the tube and downward, causing them to drop into the collection chamber at the bottom of the vessel. The clean gas then reverses direction at the vortex of the cyclone tube and moves upward through the riser and into the exit plenum. NPI uses multiple, small diameter cyclones arranged in parallel to achieve separation of small and large size particles. Depending upon the application, a bank of cyclones may contain as many as 200. 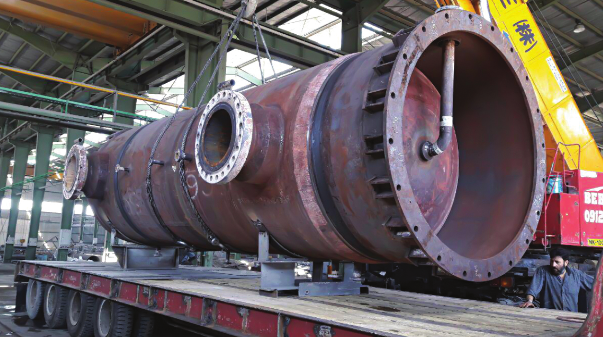 Selection of 2'' or 4'' diameter cyclones will depend upon the gas capacity. Today, Computational Fluid Dynamics (CFD) has become well-known in simulating real flow patterns and can be a useful tool to supplant the empirical methods in costconsuming or impossible experimental cases. CFD can simulate the two-phase and high swirl flows in cyclones and determine the pressure and velocity profile in each part of the cyclone. The numerical solution of the fluid flow equations were carried out by commercial CFD Package Fluent 6.3. Discrete Phase Model of Fluent is capable to track the solid and liquid articles until they escaped from the outlet pipe or separated from the bottom. CFD is the best tool for simulating the separation mechanisms and designing the scrubbers with high separation efficiency in specified pressure drop and controlled abrasive wear.